It’s the “D” in MADCAPHORSE (the memory clue for opposite-leaved woody plants). Dogwoods have fairly small leaf scars with 3 bundle scars. Some can be a bit hard to tell apart from maples. This flowering dogwood is easy though; it has especially striking biscuit-shaped flower buds. 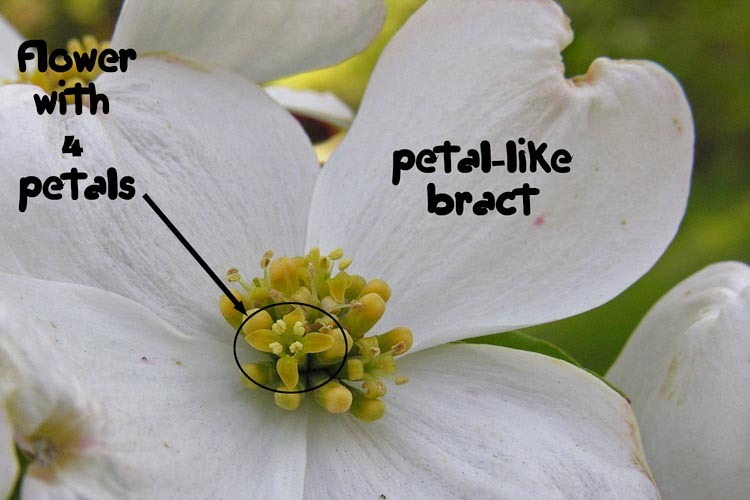 The name “flowering dogwood” is a bit of a misnomer, however. All dogwoods produce flowers. 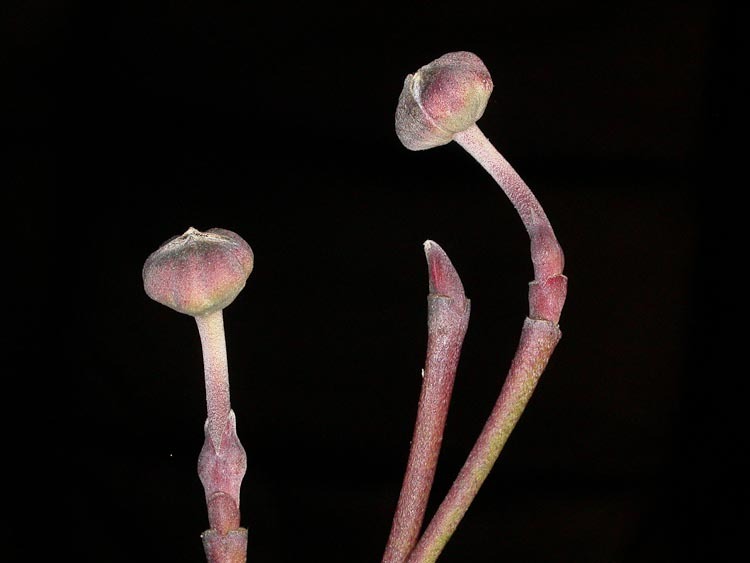 The flowers of Cornus florida are small but packed together into clusters surrounded by huge petal-like bracts which are actually the bud scales, much expanded.